The Egyptian man with the condition had lived in Saudi Arabia for four years. (Bloomberg) – The state-run media in Egypt have reported the country’s first case of Middle East Respiratory Syndrome (MERS), and Saudi Arabia has reported eight more MERS deaths. Egyptian authorities said they admitted a man with MERS to a hospital last week. The man had been living in Riyadh for four years before flying to Egypt. In Saudi Arabia, the reported death toll now stands at 102. The number of reported cases has increased to 339. Centers to treat and isolate patients infected with the coronavirus that causes MERS have been set up at the Prince Mohammed bin Abdulaziz Hospital in Riyadh, King Abdullah Medical Complex in Jeddah, and Dammam Medical Complex in the Eastern Province. More centers will be opened in other parts of the country. “This step comes as part of an emergency plan aiming to contain the spread of the virus,” acting Health Minister Adel Faqih said, according to the official Saudi Press Agency. 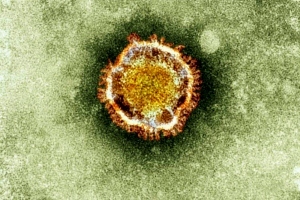 MERS emerged in Saudi Arabia in September 2012, according to the Ministry of Health. The viral respiratory illness can be spread between people in close contact and has been found in camels, according to the U.S. Centers for Disease Control and Prevention (CDC). Saudi Education Minister Khalid Alfaisal ordered schools to cooperate with the ministry of health and to take preventative measures, Okaz newspaper reported. The health ministry sent text messages to the country’s 30 million residents this month to alert them to the dangers of the disease.